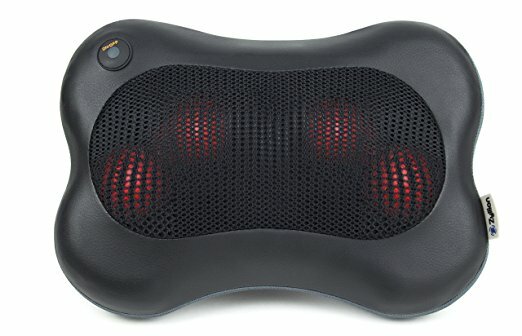 Shiatsu Neck Massager - Eat Move Meditate - Simple habits. Sustainable health. CONVENIENT STRAPS: Adjustable Multipurpose Handle Straps allow adjustment of pillow during massage, or can be used to secure the massager to your favorite chair.